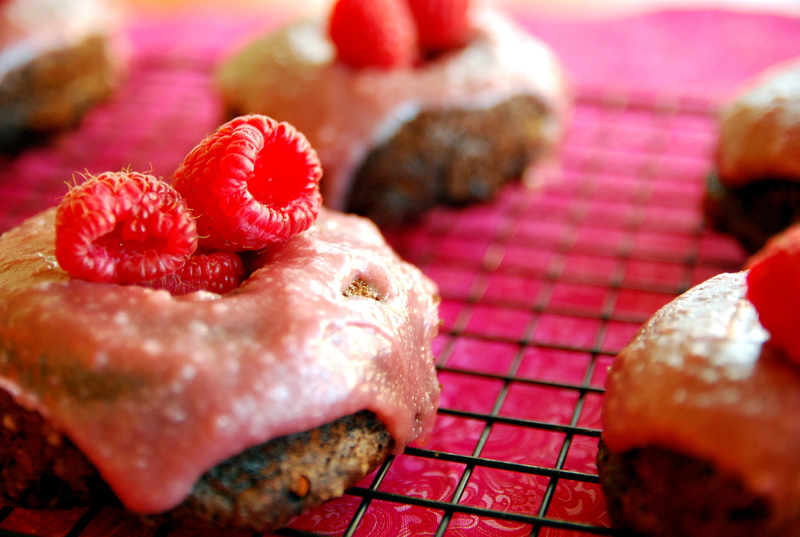 Last week I gave you a nice healthy option for Valentine’s Day breakfast. Today, I give you the opposite — but they are worth every stinkin’ calorie. These chocolate buttermilk donuts are the best baked donuts I’ve ever made (and with surprisingly little fat). Baked donuts can be dry and cardboard-y, but the buttermilk keeps these oh-so-moist and not too sweet — a perfect foil for the sweet raspberry cream glaze. Confession: we ate these for breakfast, lunch dessert and dinner dessert. Gone in one day. Now that’s loverlicious! p.s. see how the recipe calls for sifted confectioners sugar in the glaze? Below is what happens when you think you can skip that step. DO NOT SKIP THE SIFTING. Your glaze will be lumpy. Preheat oven to 325°. Spray donut pans with cooking spray. Combine flour, sugar, cocoa powder, baking powder, baking soda and salt in a medium bowl. Add buttermilk, eggs, vanilla and melted butter. Stir well. Fill each donut cup about 3/4 full. Bake 10-11 minutes. Cool completely. To make the glaze, microwave cream cheese for 15 seconds to soften. Add jam/fruit spread, beat together until smooth. Add powdered sugar and cream, mix well. 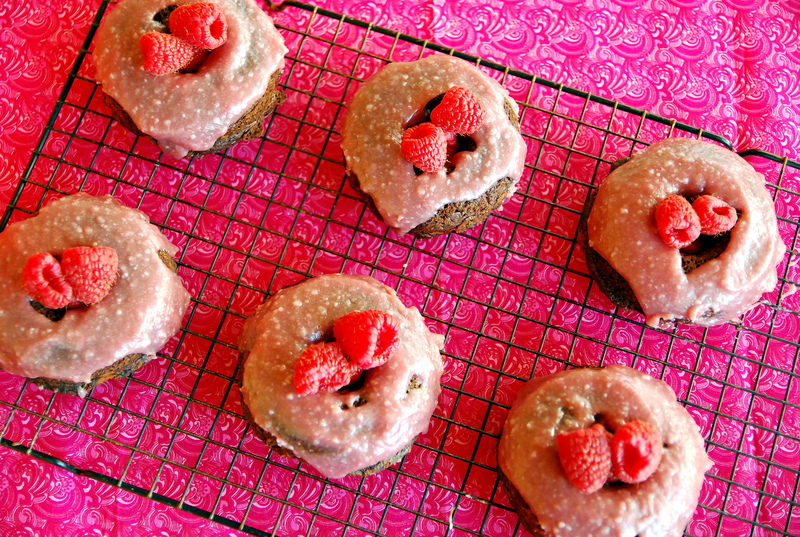 Glaze cooled donuts, garnish with fresh raspberries, if desired.